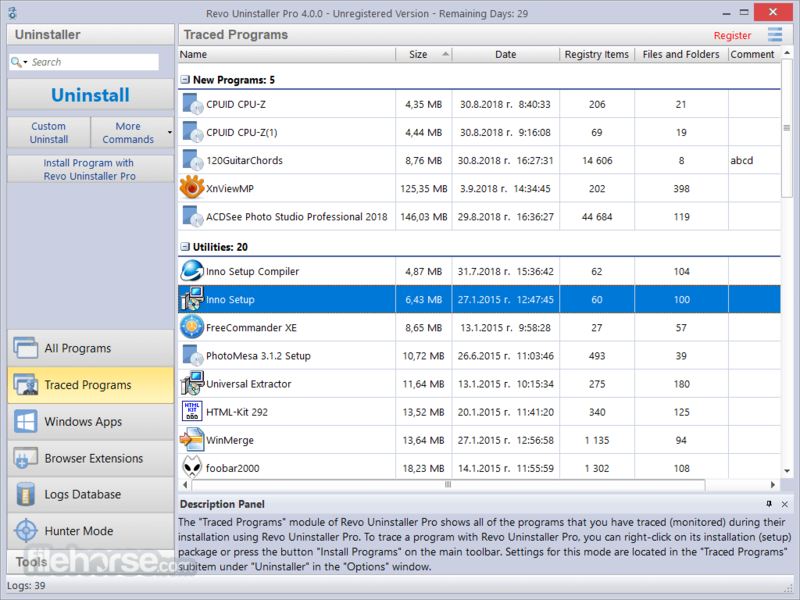 Uninstall and remove programs in Windows with Revo Uninstaller Pro easily! Revo Uninstaller Pro helps you to uninstall software and remove unwanted programs installed on your computer easily! Even if you have problems uninstalling and cannot uninstall them from "Windows Programs and Features (Add or Remove Programs)" control panel applet. 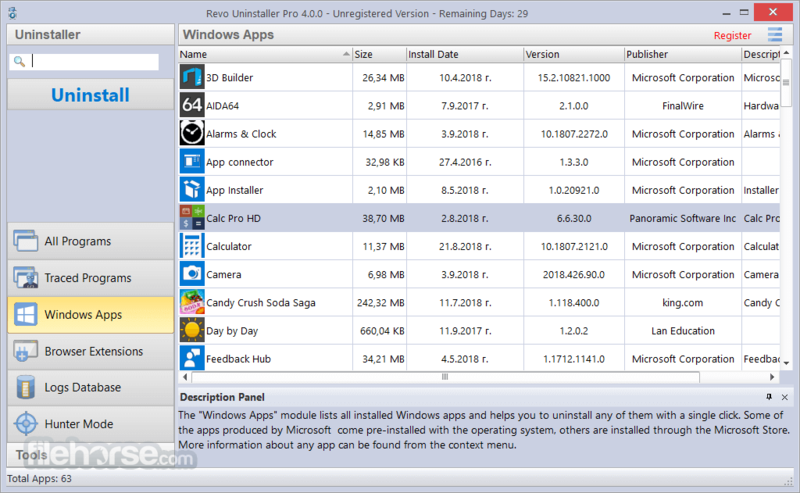 Revo Uninstaller is a much faster and more powerful alternative to "Windows Programs and Features (Add or Remove Programs)" applet! It has very powerful features to uninstall and remove programs. 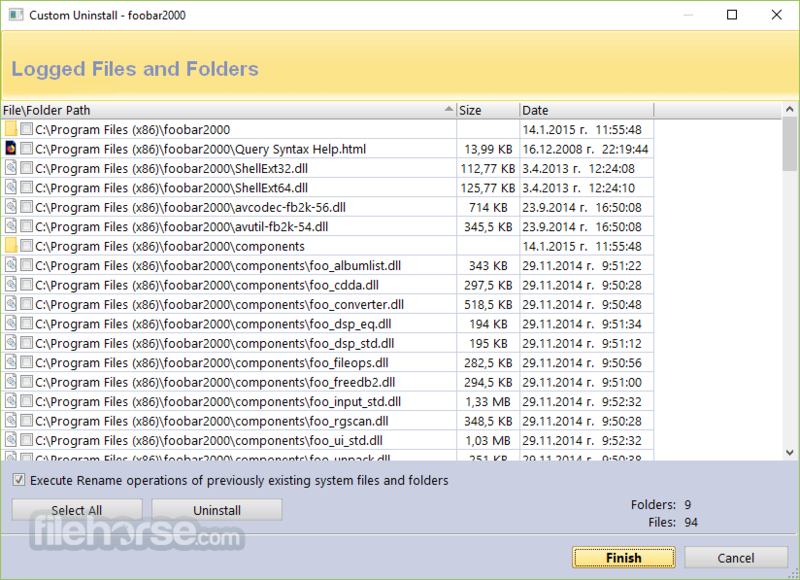 There is also a portable version of Revo Uninstaller Pro that doesn't require installation and works on removable devices like USB sticks and external drives. It is licensed per user and is the best choice for technicians or hobbyist that have few computers at home or help their friends maintaining their computers in good shape. 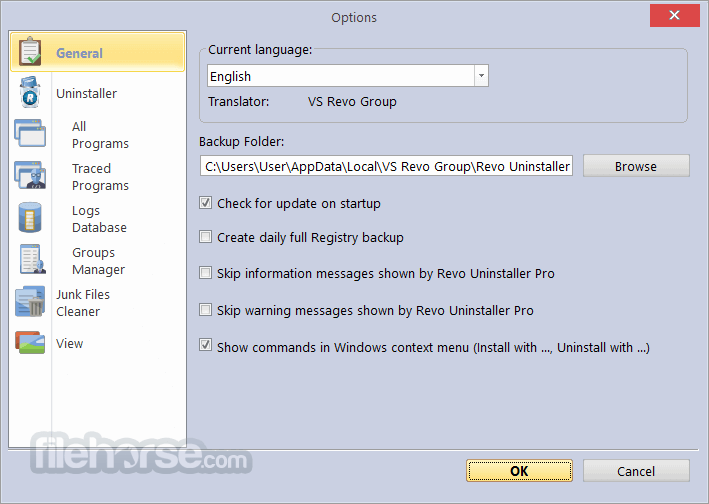 With its advanced and fast algorithms, Revo Uninstaller Pro analyzes an application's data before uninstall and scans for remnants after the uninstall of a program. After the program's regular uninstaller runs, you can remove additional unnecessary files, folders, registry keys and values that are usually left over on your computer. Using the Quick\Multiple Uninstall command you can automate the uninstall process and uninstall few programs in a row. It has a very powerful feature called Forced Uninstall. Forced Uninstall is the best solution when you have to remove stubborn programs, partially installed programs, partially uninstalled programs, and programs not listed as installed at all! It offers you some simple, easy to use, but effective and powerful methods for uninstalling software like tracing the program during its installation. To remove a program completely, and without leaving a trace, you can monitor all system changes made during its installation, and then use that information to uninstall it with one click only - simple and easy!